Make Valentine's Day much more exciting for the kids in your life. From the moment they get up to the moment they go to sleep, celebrate a day of love and friendship in style with these great activities. If the way to one's heart is through one's stomach, get a leg up on making your way into your friends' hearts with these edible Valentine's activities. This tea is sure to warm you up on a cold winter's day. On top of that, this tea is a much healthier gift than the traditional chocolate. Mix together all the powdered ingredients thoroughly in a large bowl. Stir in the Red Hot candies. Fill small canning jars with powdered tea mix, and attach a set of directions that read: "Spoon two to four teaspoons into a mug of steaming hot water. Stir and enjoy." 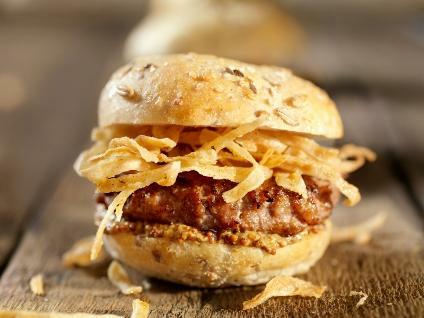 Sliders are cute and tiny - perfect for a fun Valentine's meal. You can use your favorite hamburger recipe if you have one, but the recipe below serves four to six, making approximately eight to ten sliders. Have kids thoroughly wash their hands. A grown up should chop onions and saute them in a frying pan with two tablespoons of butter. In a large bowl, have kids combine the hamburger and Worcestershire sauce until all the ingredients are thoroughly mixed. Add salt and pepper as desired. Sear or grill over medium-high heat until the meat in the middle is no longer pink. Serve sliders with your favorite fixings and strawberry milkshakes for a pinkalicious Valentine's supper. 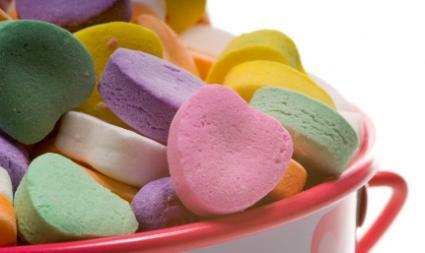 Making candy hearts is not as difficult as you might think. While the first cooking steps need to be done by an adult, there is quite a bit of kneading that little kids will love. They'll think of it as play dough you can eat! A grown-up needs to combine the first three ingredients and microwave in 30-second intervals until the gelatin is fully dissolved. Be sure to stir between intervals. Place gelatin and corn syrup mixture in a large mixing bowl and have your kids add powdered sugar, one cup at a time, mixing until the sugar is well-incorporated before adding more. Continue adding powdered sugar in this manner until the 2lbs sugar is incorporated. When you've added the powdered sugar to the dough, dust your table with the additional powdered sugar, and turn the candy dough out on the table. Have your kids knead this, just like bread dough. Knead it until the candy is satin-like rather than sticky. Divide the dough into four to six balls, depending on how many flavors and colors you want. To add flavoring and color to the dough, have your kids poke a finger into the middle of the ball of dough. Add a few drops of food coloring and a few drops of extract and continue to knead the dough until all of the food coloring is worked through. Have the kids dust the work surface and rolling pin, and roll out your ball of dough. Use a cookie cutter to cute out heart shapes. These need to air dry for at least 24 hours. If you want, you can use food markers to write messages on them when you're done. However, don't be surprised if little fingers steal them before they're 100% dry. Some things are just too good to resist. Scavenger hunts are a lot of fun for kids. A good one will send kids racing to try to collect items until the very last one is found. To set up your scavenger hunt, think of some Valentine-themed items that could be easily obtained. Give each item a point value based on how hard it will be to find. Try one of these scavenger hunts for your next Valentine's get together. Encourage kids to think outside the box when finding items that have somewhat vague descriptions. For example, a wedding picture could be something that is drawn rather than an actual photograph. 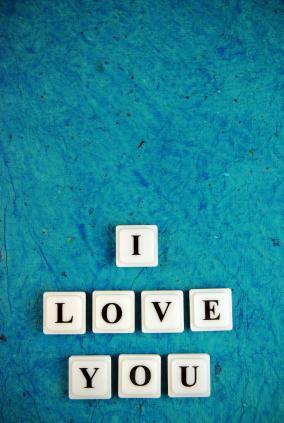 A conversation heart that says "I Love You"
Have kids find or make the following phrases. Phrases can be found in their entirety or made by piecing letters together. This silly game is great to play while you're waiting to kill some time. To play, choose one person, preferably someone who is more outgoing. That person's job is to say the phrase, "Baby if you love me, won't you please, please smile." The other person's objective is to make sure they don't crack a smile no matter what. The person trying to elicit smiles is allowed to do anything reasonable to garner a smile, except for touch someone. The first person to smile is the next person to try to get smiles out of the others. After everyone has exchanged Valentines, take stock of what you have and host an awards show just for your Valentine's cards. Categories could include the silliest, nicest, or most creative Valentine. Offer conversation hearts or heart-shaped lollipops for prizes. If possible, try to come up with enough categories for everyone to be able to win something. Looking for something to do besides the tried and true Valentine's Day cards? 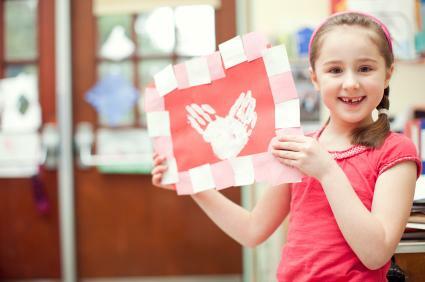 These great ideas let classmates know that your child thinks they're great, but go beyond the typical Valentine's Day card you find in the grocery store. Instead of Valentine's Day cards, give out Compliment Cards. 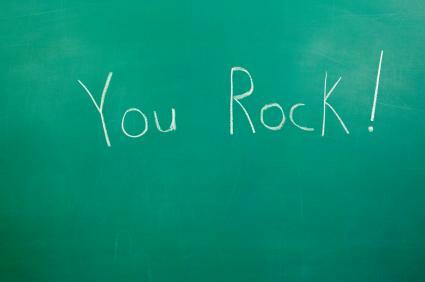 Have your child write one nice thing about each person in his or her class (or family, or play group). Encourage your child to really think about someone's strengths. Everyone loves a well-deserved compliment and the unique take is likely to help spark some friendships that perhaps might not have been. Another alternative is to designate a bulletin board that has each child's picture on it. Encourage students to write compliments for a child around their picture. Get out and do something good for your school. On Valentine's Day, spread the love by doing a project to help beautify your school's grounds. You can clean up litter, plant a garden, or create special bulletin boards in the hallways. Another take on doing community service for your school is to give back the love to your teachers. Each student can bring in some candy or baked goods and drop them off in the staff lounge. Teachers will be thankful to have a little extra pick-me-up on this special day. This project is one that goes all year round and can do much to bolster good will and morale in your classroom. As the teacher, explain that you are going to do one nice thing for one student. That one student then is required to do something nice for another student or 'pay it forward' within a week's time. Nice things can include small gifts like pencils or erasers, an extra cookie for lunch, or a sticker. It doesn't have to be big. Students are not allowed to pick someone who has already been picked. By the end of the year, each student should have had an opportunity to pay it forward at least once. While the project is a class project, you'll likely find that students are 'paying it forward' outside of class too! There is more to Valentine's Day than just Valentine's cards and chocolate candies. Celebrate a day of love with these unique ideas. There's nothing quite like a good love story. Get the kids in your neighborhood together, or a group of friends, and give them a Valentine's journal. Let one child start a Valentine's-themed story, and then pass the journal to the next child. Before you know it, the group of kids has a keepsake to commemorate each Valentine's day. Host a Valentine's party for making Valentines for those who are less likely to get them. 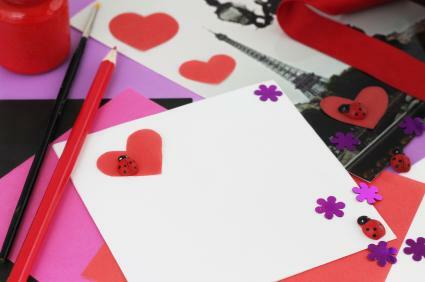 Make several generic Valentines cards for local nursing home residents. Use construction paper, glitter, markers or anything else you can think of. Attach sugar-free lollipops and make a trip to deliver your Valentines. Nursing home residents are sure to appreciate and enjoy your effort. A craft kit can brighten the day. These kits not only give kids the opportunity to have something to receive Valentine's cards with, but the craft itself occupies kids who may feel too ill to be out of bed and doing something. Hosting a couple's Valentine's dinner is a great youth group or scout group activity. Group leaders can purchase easy-to-prepare food such as trays of lasagna, bagged salad and pre-made dinner rolls. Allow the kids to plan everything from the entertainment to how the meal will be served. Then invite your couples and enjoy an evening where the couples are celebrated. Have kids do everything from the serving to the clean up. Whether you're a teacher or a parent, planning out a Valentine's Day full of fun activities helps keep the winter doldrums away. Celebrating love and friendship can be a great way to remind kids about good character values.